The Weeknd is facing backlash over his new song "Lost In The Fire" and many are calling the new track "homophobic." In the song, The Weeknd sings the lyrics, You said you might be into girls/ Said you're going through a phase. Keeping your heart safe/ Well, baby, you can bring a friend/ She can ride on top your face/ While I f**k you straight. 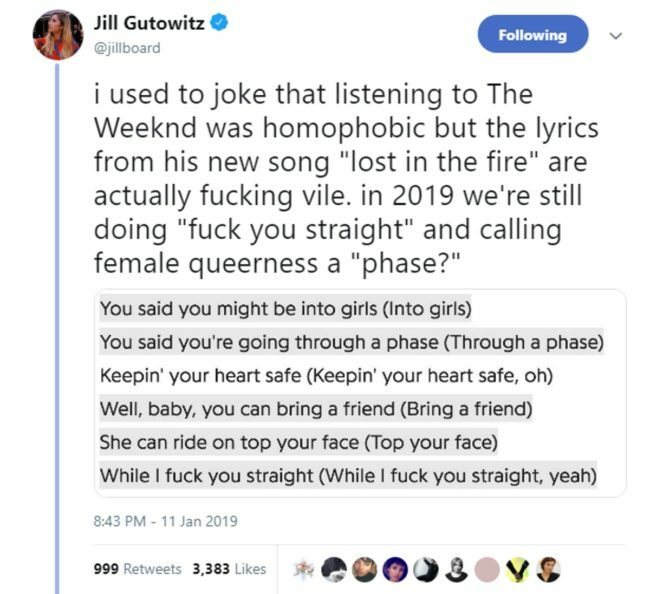 Some have taken issue with the fact that the song suggests being attracted to people of the same gender is a "phase," and others are upset with the f**k you straight lyric.